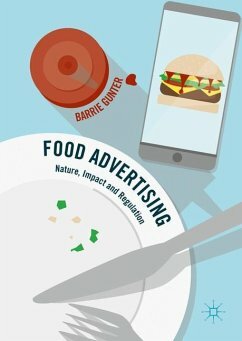 This book provides an up-to-date and comprehensive review and critique of the scientific evidence concerning the prevalence, nature and potential effects of food advertising and other forms of marketing on children. There is growing international concern about the prevalence of childhood obesity and associated health problems. Poor quality diet and nutrition has been blamed. The food and soft drinks industries have been targeted in this context for their promotions of foods and drinks that are high in salt, sugar and fat content. Many of the most widely promoted and consumed food brands fail to meet recommended nutritional standards. What is the evidence for the effects of food promotions on children's food preferences, diets and health? This book draws on evidence from around the world, reviewing the major studies before presenting a fresh assessment of the state of play. It considers also the issue of food regulation and advertising codes of practices, the need for better and relevant consumer education and socialisation about advertising and nutrition. Barrie Gunter is Emeritus Professor at the Department of Media and Communication, University of Leicester, UK. He is a psychologist by training who worked in broadcasting audience research before moving to the academic world. He has published over 60 books and 300 other publications and reports on media, marketing and business issues. 1.What are the Concerns about Food Advertising?.- 2.What is the Balance of Evidence for the Effects of Food Advertising?.- 3.What is the Potential for Exposure to Food Advertising?.- 4.Food Advertising: Informative, Misleading or Deceptive?.- 5.Does Food Advertising Influence People's Food Preferences?.- 6.Does Food Advertising Affect People's Health and Well-Being?.- 7.How Important are Other Factors in Understanding Consumers Responses to Food Promotion?.- 8.What Regulatory Challenges Does Food Advertising Present?